Most of us suffer from Common Cold occasionally. This happens mostly during rainy season/cold climate and sometimes after drinking chilled water/soft drinks or even after eating ice cream. The symptoms of common cold are: continuous sneezing, blocked nose (difficult to breathe) or runny nose, sore throat, cough and symptoms like headache, feverishness, chilliness, body ache and not feeling well in general. 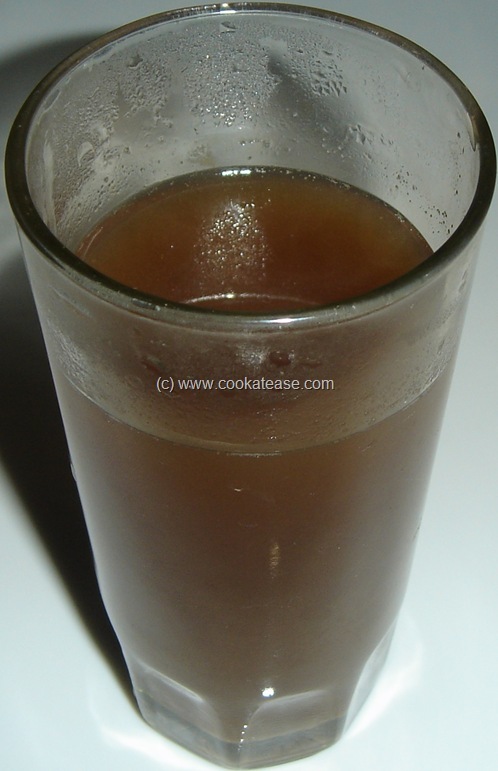 Here is a simple kashayam or herbal juice or folk cure, to overcome this common cold (If you have severe cold, it is better to approach the nearest hospital for treatment). As far as possible, we take home medicines for common ailments. These are passed on, from generation to generation through our elders and followed. 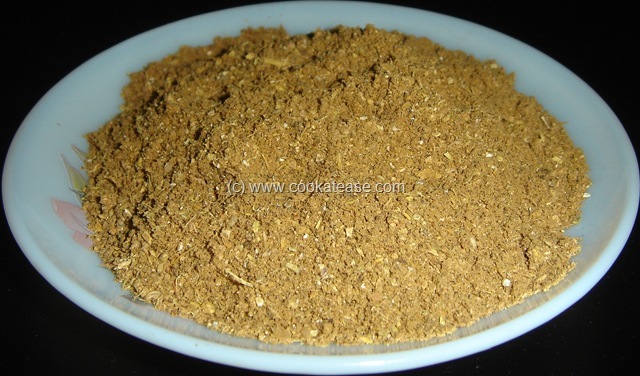 This kashayam is prepared with common spices available at home and with some herbs available in stores selling herbal medicines. ‘Athimadhuram’ (in Tamil) – also known as ‘Glycyrrhiza Glabra’ or as ‘Liquorice’ in English. ‘Chitharathai’ (in Tamil) – also known as ‘alpinia galangal’ or as ‘thai ginger’ or ‘finger root’. Relevant English names of the herbs used are available in Wikipedia. Break Athimadhuram, Chitharathai and Sukku into small pieces; dry roast all the six items together just to make them warm when you touch (I did this in microwave oven). Grind it as powder and put it in a air tight container and keep. for adults: put half tea spoon of this powder in one cup of water and boil for 3 to 4 minutes; filter, add little sugar or honey and drink it warm twice a day. for children above five years: put half tea spoon of this powder in one cup of milk and boil for 3 to 4 minutes; filter, add little sugar or honey and drink it warm twice a day. Athimadhuram is a root and when chewed tastes little sweet. As and when required, buy these herbs fresh from the stores instead of storing them at home for long time. Do not prepare kashayam powder in large quantity. Better to prepare it on need basis. 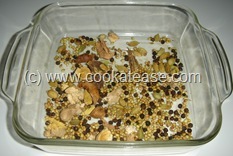 This post is part of the event “Home Remedies (HR- Series 1)” hosted by A2Z Vegetarian Cuisine. Name & Reason for which the remedy is prepared: Kashayam or Herbal Juice to treat Common Cold. Oral consumption or topical application: Oral consumption. For whom Kids/Adults/ALL/Specific Gender: for adults and children above five years. Very prefect juice for this cold weather…my mom used to prepare almost the same..thanks for sharing.. Excellent! We have an old chechi at home who makes this whenever we are down with cold or fever and it works wonder! She calls it kashayam too! i recommend to my kid pts. 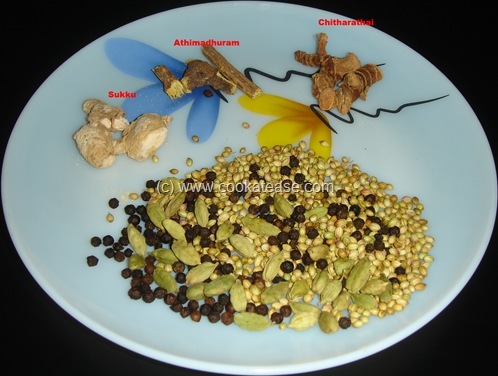 Can u tell me if kashayam is helpful for paralysis of a brain injury person? I don’t know. This kashayam can help to cure common cold. This has no side effects. Good to clarify the doubt and also we know the combination, but forget the quantities reqd to retain the same taste. Now a days all are busy in their work and they memory is weak to remember things. Is there a difference between adhimaduram root and sticks? i bought licorice root from a wholefoods store.I think adhimaduram is licorice in english. wasn’t sure which is used for what. any help would be greatly appreciated. What is the Hindi word for chitharathai? hi mam,thank very much foryour herb tips.i have 1out thummarastam another name chitharathai or totally 2 items are different? 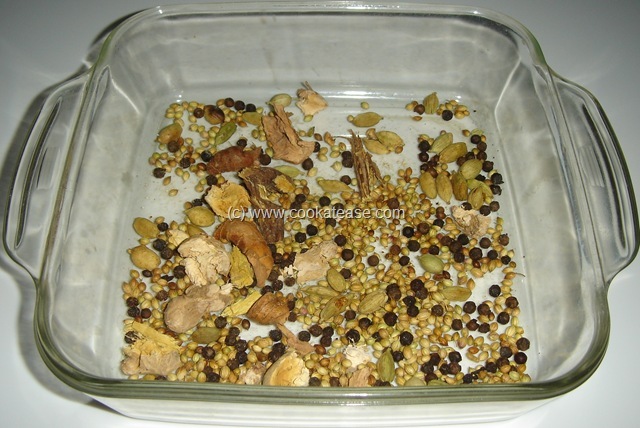 It is traditional practice to take this kashayam by the advice of patti (grandmonther) or elder people in the house who knows the quantity to children as well for elders. First of all such kashayam has no side effect and keeps other part of body also intact or unaffected. this type of kashayam are available in our country from time immemorial or anciant days. IT is very useful for NRE’s in USA as they have got cumber some procedure to approat Doctors immediately , as they have to book appointment and then see the doctors. We in INdia we get Doctors appointment immediately or plenty of Doctors are available..